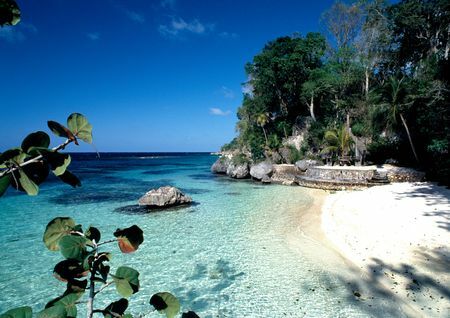 Island Outpost is a collection of award-winning boutique hotels in Jamaica, including GoldenEye, Strawberry Hill and The Caves. The hotel group is owned by music industry legend Chris Blackwell, who made the likes of Bob Marley and U2 household names. Dotted all over the island, each of the properties has its own singular sense of style – with locally-inspired architecture and design – and provides distinct, personalized, and authentic local experiences. Island Outpost is Chris Blackwell’s vision of reawakening the sophisticated and responsible traveler to the beauty and vibe of Jamaica today. Naturally, music plays a big role at the hotels, each with its own hand-selected playlist to match the rhythm and beat of the property. The casual friendly atmosphere is meant to feel as if travelers are staying in the home of a good friend, rather than a hotel. Island Outpost is committed to offering guests authentic dishes using the freshest local ingredients; some of the hotels’ restaurants source ingredients from Chris Blackwell’s farm, Pantrepant, as does FieldSpa at GoldenEye. Each hotel is active in its community with initiatives ranging from coral restoration to local farming and sports programming.